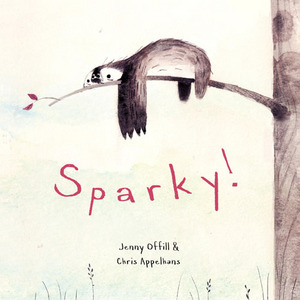 Written by Jenny Offill and illustrated by Chris Appelhans, this is the first widely distributed children's book that the artist has illustrated. The book stars a pet who has more to offer than meets the eye. 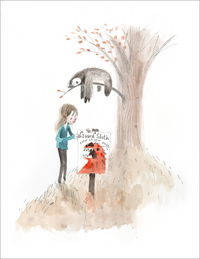 When our narrator orders a sloth through the mail, the creature that arrives isn't good at tricks or hide-and-seek…or much of anything. Still, there's something about SPARKY! that is irresistible. Original development paintings by Chris will be on display. Meet the artist opening night as he greets fans and signs copies of the new release. 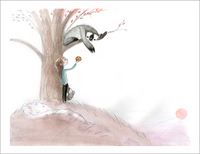 With each purchase of the new book, new print, or original Sparky! artwork, be entered to win this original Sparky! painting by Chris Appelhans. Winner will be announced on our Facebook on April 13, 2014.